Content marketing is the hottest trend in marketing right now. 90% of organizations use content in some form in their marketing efforts, and with good reason: it costs about 62% less than traditional marketing, yet generates three times as many leads. If you’re brand new to content marketing, it goes without saying that there’s going to be a learning curve. But having the right tools can make all the difference. In my role as a content strategist for WebFX, I’ve found a few tools that make a huge difference in my day-to-day activities, and I’d like to share them with you! Read on to learn about three tools that are invaluable for anyone new to content marketing and looking for ways to improve their work. As passionate and knowledgeable as you may be about your topic, there will come a time when you run out of ideas. Don’t sweat it — it happens to everyone, I promise. You can then cross-reference these results with the estimated search volume using your favorite keyword research tool (we have 19 suggestions here) and go from there. 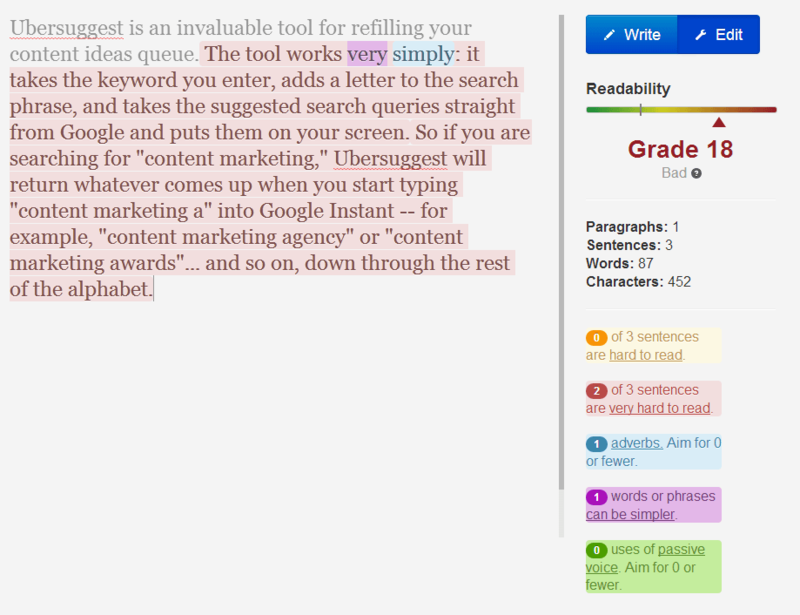 Ubersuggest is great for finding real user queries that you can build pages or blog posts around to capture traffic and potentially create sales. If you’re a hat store, you can probably make a killing simply from writing an informative page about the types of hats that go with suits, then including links to buy said hats. 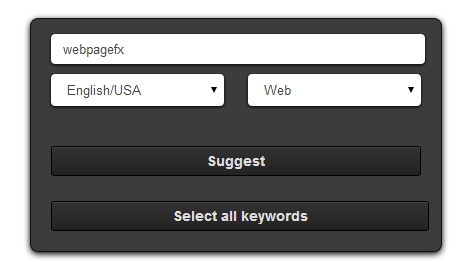 Or if you’re just out of ideas and looking for something to write about, Ubersuggest can help you there, too. Writing is hard. Whether you’re new to writing or are a seasoned pro, there’s always room for improvement. Hemingway helps you fine-tune your writing so it’s clear, simple, and easy for everyone to understand. 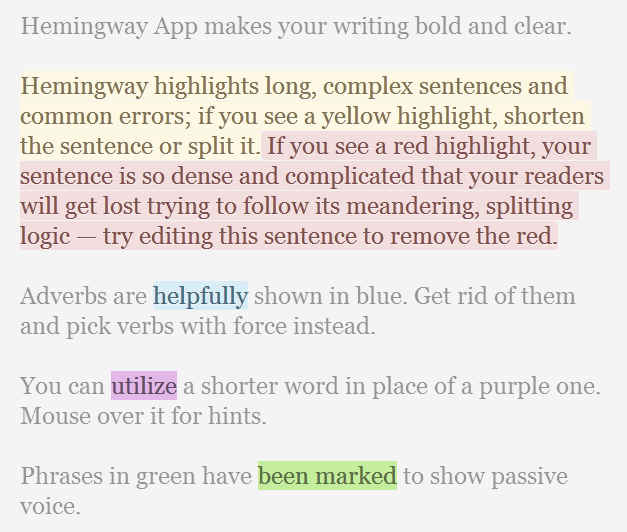 Using the tool is easy: just paste in your text and watch for any color changes. The app will highlight sentences that are difficult to read, adverbs (which are usually unnecessary), complex words, and uses of passive voice. 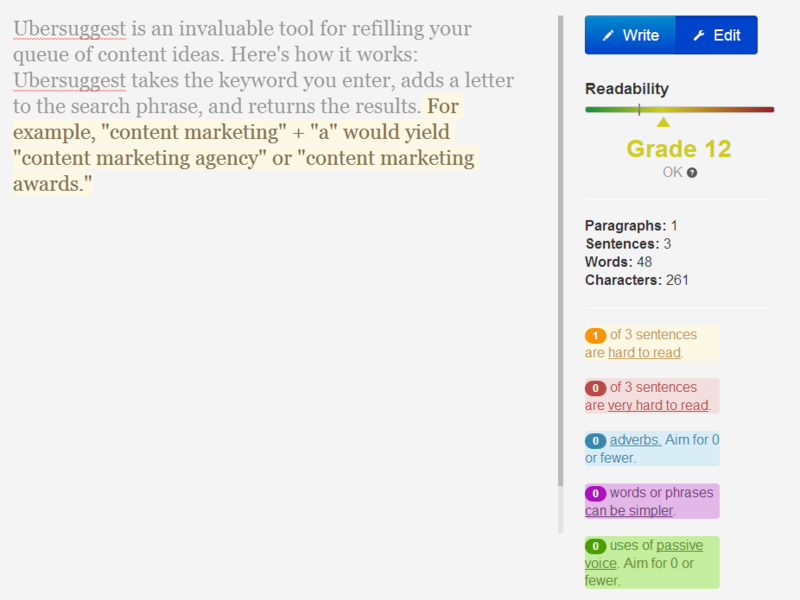 As a content marketer, you should know that your writing will appeal to more readers if it’s simple and clear, and this tool will definitely help get you there! In lieu of an editor, Hemingway is an amazing alternative. But the best thing about it is the long-term payoff: if you pay attention, you’ll start catching yourself making the same mistakes over and over. With a little practice, you’ll be able to rid yourself of those mistakes and consistently produce clearer writing. Updated July 2014: Hemingway has now introduced a fantastic desktop version for Windows and Mac to accompany its web-based editor! Download it here. “What? Really?” Yes! Content marketing is nothing without measurement. If you aren’t tracking the results of your hard work, how will you ever know what is and isn’t effective? If you’re new to content marketing (or are about to hire a content marketer), make sure access to Google Analytics is set up. If you’re not familiar with Google Analytics, it’s a free tool from Google that website owners and managers use to track important metrics like website traffic, time on page, goal completions, and so on. It’s typically used by marketers and developers, but there’s a real use for content marketers and strategists, too. Average Time on Page — If you know it takes about 5 minutes to read your blog post, but the average on-page time is only 30 seconds, most people are probably leaving right away. Do you need to add visual elements to better engage your readers? Or perhaps cut some length to get to the point faster? Bounce Rate — How many people are hitting your page, not finding what they want, and leaving? Does your title match the content? Or are you not offering any kind of call to action? % Exit — Helpful when paired with the bounce rate metric above, this will tell you how many people leave your site instead of clicking around to explore. Can you link to some related content or even products to keep their interest longer? These are just three of the tools that I use to improve my content. Looking for a few more? Our list of 250+ SEO Tools has lots to offer, including advanced analytics, keyword research tools, and even a way to find the right subreddit for your new infographic or blog post. Give a few of these a try, or feel free to add a comment with your own suggestions for new content marketing tools and apps.